I'm pretty sure every woman has a "dream list","dream box" or just an item in her mind that keeps dreaming abut. 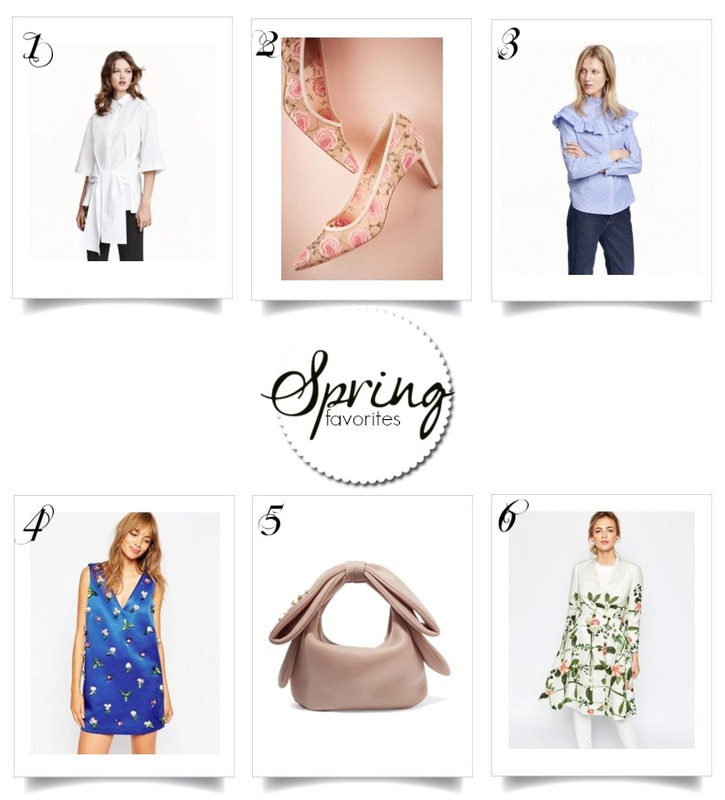 To tell you the truth, I have tons of those lists in my mind and on my computer and today I'm revealing my Spring favorites: 1. Starting with these floral pumps that are so feminine and I can see them going with everything, from jeans to ladylike dresses. So a "must have". 2. Speaking of femininity, another item makes the list, this lovely polka dot ruffled shirt. I'm sure this is the year of romantic, feminine, glamorous trends and I'm so into all of them. And #3, this mini dress with embellished details. These are my top 3 favorites, what are yours?